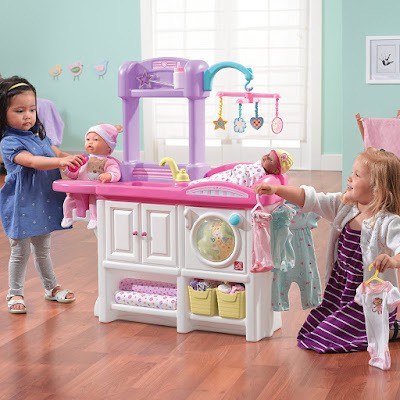 Little girls love playing with baby dolls and pretend play that they are their mommy. I find it fun and funny at the same time to see my daughters (I have three) imitate what I say and what I do whenever I take care of their little baby sister. The girls do not just play with their baby dolls. They also have baby doll accessories like a toy feeding bottle, a pacifier and a baby carrier to make their playing mommy more realistic. Then, they also borrow some real stuff like a baby blanket to use in their play. If the baby doll you're planning to give to your little girl does not come bundled with doll accessories, you might want to buy some separately. Here are some items you might like to consider. 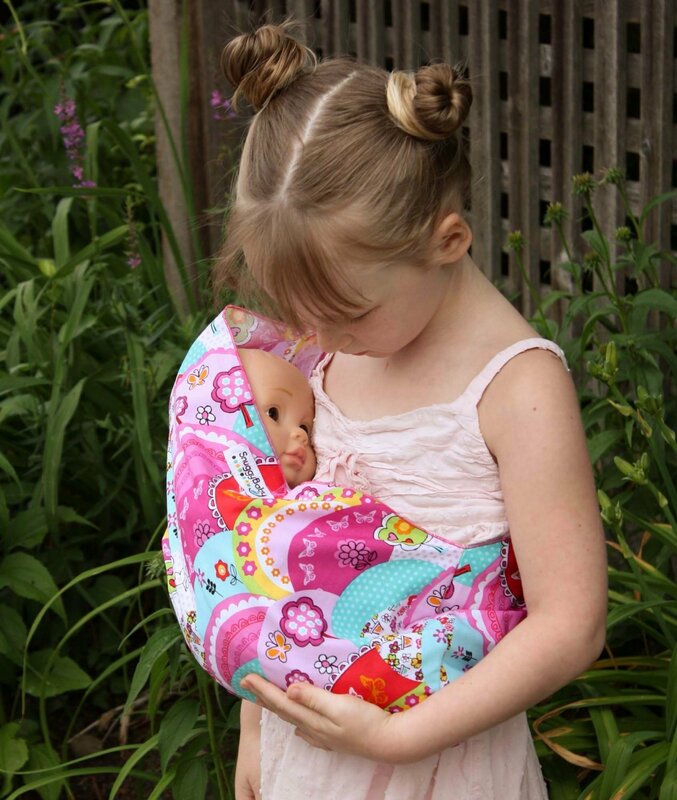 This popular baby doll accessory allows little girls to take their baby dolls on walks. 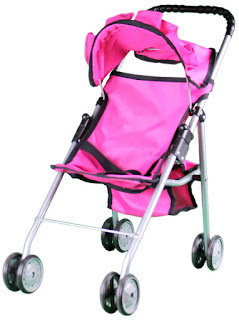 When buying a stroller, consider the size of the doll. Make sure that your child's 18-inch doll fits in it. The stroller must also be high enough for your child to push comfortably. The baby needs milk. Little girls are aware of that and they would love it if they get the plastic toy versions to use for their baby doll. Unless, your kids are like mine who mostly pretend that they are breastfeeding the baby doll because I breastfed them. Some feeding bottles are bundled with feeding dish, spoon and baby food. The little girl is using the Fisher Price baby feeding set. Every baby doll needs at least one change of clothes (or a few). Most baby doll brands come with a line of clothes which you can purchase separately. It's better to buy this to ensure that the clothes fit the baby, unless you're intending to make custom baby doll clothes, that is if you like sewing or crocheting. 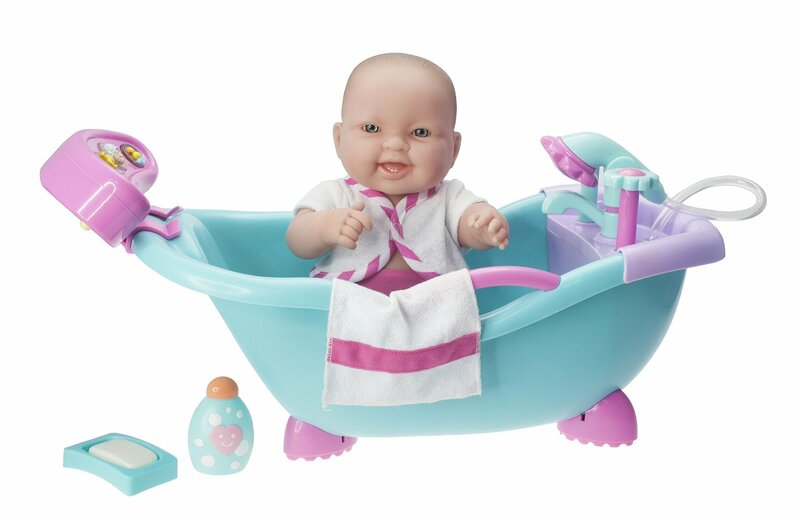 Your little girl may want to bathe her baby doll. There are play bathtubs that you can purchase. Some are very simple, but there are some that includes a shower and faucet that really spray water, just like this play bathtub by JC Toys. If your child is already past this stage of potty training, she may like to teach the baby doll to learn how to use the potty, so this accessory is a good one. 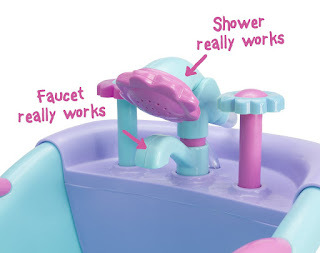 This is available in sets that already include a potty, a bathtub, and other bathroom accessories like a diaper. As an alternative to getting your little girl a stroller, you can buy her a baby sling for the baby doll. This way, your little girl can easily carry her “baby” around and show her family and friends. Mommies take good care of their sick kids, so your little girl may also like to do the same with her baby doll. Give her a toy medical kit and use it as an opportunity to teach some basic medical care. 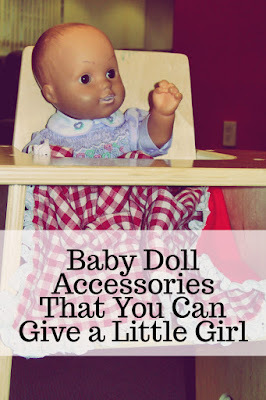 I've already mentioned 7 items that are basically enough to give your little girl lots of fun playing with her baby doll. But if you browse the Amazon store, there are tons of other baby doll accessories and furniture that you can buy -- a toy shopping cart that your little girl can push around with her baby in it, a high chair where the baby sits during meal times, a baby doll crib where she can put the baby to sleep, a baby doll car seat, etc. I saw this nursery doll furniture set on Amazon and it looks really cool. Your daughter and her playmates will have everything they need to have hours of fun playing with their baby dolls all in one neat space. It has a changing table, feeding station, sink, clothes washer, storage bins, cabinet and a mobile. I love it! Check out the complete product info and customer reviews of this Deluxe Nursery Furniture on Amazon. Now you have some ideas on the doll accessories you can buy for your little girl. Just be wise to choose whatever your child will enjoy most and what will fit your budget.